Some would say they can hear elves hammering away finishing up last minute gifts to be added to the bags Santa will carry on his sleigh from the North Pole to good boys and girls. Others, might say those hammers are in fact being used by local New York artisans and crafters who sell on the handmade market place Etsy.com, as they finish up one-of-kind products to sell at the upcoming Etsy New York's Holiday Handmade Cavalcade. The Etsy New York Holiday Handmade Cavalcade has six years worth of history, and has become a must for holiday shoppers looking for unique and locally crafted gifts to give their loved ones. 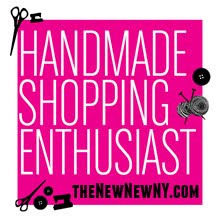 Featuring more than 40 vendors and team members of from the Etsy NY Team and showcasing one-of-a-kind goods ranging from handmade clothing, jewelry, accessories, paper goods, bath and body products, toys and housewares. “What originally started as a chat at the Brooklyn Flea in 2008, because we could potentially have access to John and Kristie's, of Beacons Bookmarks, wood shop, grew into a whole group of artists and NY Etsy vendors rallying together to share cars and band together to promote and organize a DIY event that showcased the mission of Etsy. It's always amazing how access to one key resource can be a game changer” says Kimm Alfonso, Founder of Etsy NY. "We decided we'd test out our event hosting skills here and thus the Cavalcade was born, with amazing graphics that showed cars loaded with craft supplies headed up to Beacon, NY." 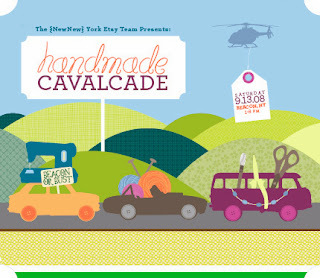 The graphic created for the first Handmade Cavalcade in 2008. "The holiday event was the big one, where we felt we had a smaller successful event under our belts and could really be successful in NYC. Similarly, we had access to an amazing space for free/low fees and would have to DIY everything, which was right up our alley," says Alfonso. Etsy NY team member, Jenny Topolski of J. Topolski Design, remembers her Cavalcade experiences "When I first joined the team a million years ago, I wanted to get more involved and meet the other members, so I signed up for the Cavalcade. The last one I sold at was held at Public Assembly, but I've always loved the feeling of team-spirit and that the artists collectively work together to create an event that is inclusive not just to them, but neighborhood and customers." The Holiday Handmade Cavalcade hosts more than 2,000 people each year and has become a New York City winter tradition for those looking for local and unexpected holiday products. 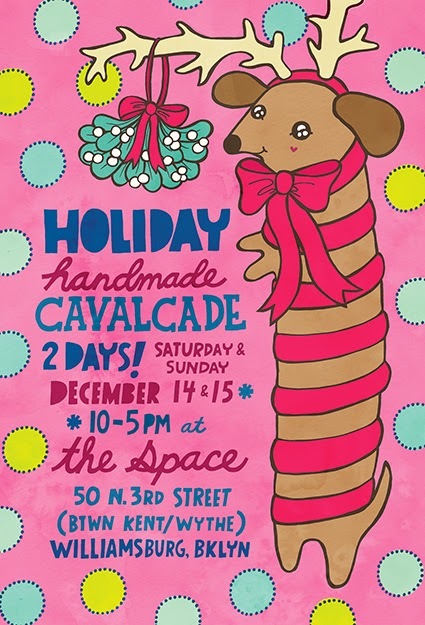 "Now, six years later, the Cavalcade has grown and changed to reflect the amazing talents and resources of the present team providing an organic feeling also aligned with the mission of the original Calvacade vendors and of the expanding network of artists and Etsy sellers in the Tri-State area,” says Kimm. In addition to the high-quality, handmade wares for sale, visitors will have the opportunity to interact with our event sponsors, including Etsy, Lion Brand Yarns, Yelp, Zipcar, Purl Soho, and more, and mingle with local artisans over delectable treats and cocktails and/or beer provided by Brooklyn Brewery. Additionally, with each purchase at the event, shoppers will be entered into a raffle for one of four amazing goody bags of handmade items and let's not forget the currently open rafflecopter raffle through the Etsy New York Facebook Page. Below are some pictures of some of the wonderful handmade goodies that lucky raffle participants will have a chance to take home with them. 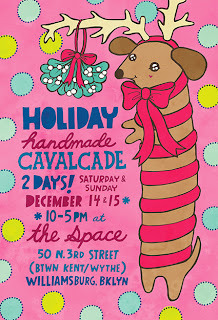 For more information on this exciting holiday event, visit www.handmadecavalcade.com. I hope to see all, or some of you there. And if not, well, you can do some shopping online via Etsy.com with the list of vendors (I'll be there!) on the Handmade Cavalcade's site. Happy Holidays, shopping, and thank you for supporting Etsy New York events and artists all these years! I would take many more pictures of my outings with Chris if he didn't put up such a fuss. Once at dinner, the food was presented so well, I wanted a picture.